Polygamy is the practice of having more than one spouse simultaneously. The term is derived from Greek: polys – many, gamos – marriage. It is often used in a broader sense, to describe any form of multiple mating. It has been practiced by various societies, under different circumstances. Although about 80% of the human societies permit polygamy the percentage of polygamous families is very low. Group marriage – a family, including multiple wives and husbands. The most common of the three types of polygamy is the polygyny. It is relatively common in West Africa and is accepted legally in many Muslim countries. It is also accepted in varying degrees in some secular countries. 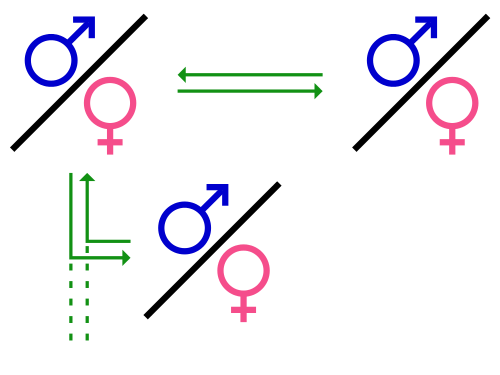 The polyandry is much less common, compared to the polygyny. It occurs in some remote communities with limited environmental resources. For example in the Himalayan Mountains, where the land is limited, there are families of several brothers married to the same wife. Thus the family’s land is not divided between brothers and remains intact. Non-fraternal polyandry – the husbands are not related; occurs in parts of India. Group marriage was practiced by the ancient Hawaiians, where two or more brothers or sisters with their spouses live together and possess each other in common. Group marriages have been practiced in some parts of Australia, Melanesia, and India. They have been common in Himalayan tribes until recently. 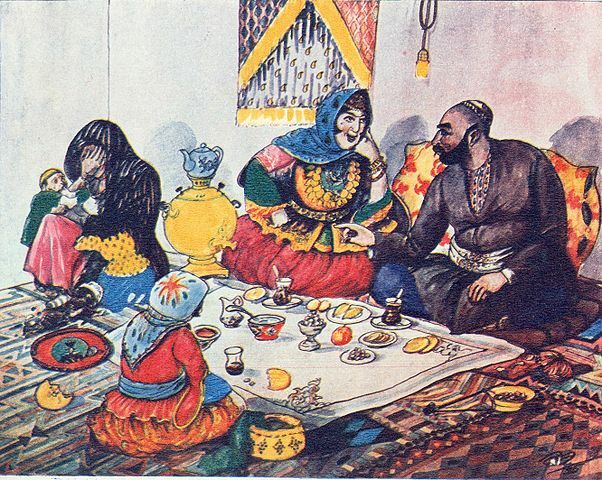 Group marriage sporadically occurred in some communal societies in the 19th and 20th centuries. The most common type of polygamy is the polygyny – the practice of having more than one wife simultaneously. The term is derived from Greek: polys – many, gyne – woman or wife. The polygyny is accepted legally in many countries with a Muslim majority and also in countries with a Muslim minority. The Quran allows polygyny under certain conditions and circumstances. The maximum number of allowed wives is four. Anyone who has more than one wife has to ensure equality between the wives. Polygyny is accepted in varying degrees in some secular countries. Generally, it is not accepted by the contemporary Christians. The continent, where the polygyny is the most widespread is Africa. One of the potential reasons for this is the gender gap resulting from the slave trade. The division of labor between the sexes also contributes to the spread of the polyandry in Africa. In sparsely populated areas with shifting cultivation, most of the work is done by women. So the wives are a beneficial labor. There are also communities with male-dominated extensive farming systems, where polygyny also occurs. In this case, the polygyny is beneficial to the creation of sons, who are valuable workers. Levirate marriage – the heir of a deceased man (or his brother) inherits his wife. Polygamy: Polygamy is the practice of having more than one spouse simultaneously – from Greek: polys – many, gamos – marriage. Polygyny: Polygyny is the practice of having more than one wife simultaneously – from Greek – polys – many, gyne – woman or wife. Polygamy: Not all types of polygamy are allowed. The Quran allows only polygyny, under certain conditions and circumstances. Polygyny: The Quran allows polygyny under certain conditions and circumstances. Polygamy is the practice of having more than one spouse simultaneously – from Greek: polys – many, gamos – marriage. Polygyny is the practice of having more than one wife simultaneously – from Greek – polys – many, gyne – woman or wife. Generally, the polygamy and polygyny are not accepted by the contemporary Christians. Not all types of polygamy are allowed by the Quran. It allows only polygyny, under certain conditions and circumstances. Environmental Expert with PhD in Botany at Forest Research Institute, Bulgarian Academy of Sciences. Mariam has a Master’s degree in Ecology and a PhD in Botany. Currently, she works in the Forest Research Institute, Bulgarian Academy of Sciences. Mariam has more than 10 years of professional experience in scientific research and environmental consultancy. She has worked within non-profit, profit, and academic environment, and consulted business clients and competent authorities. Dr. Mariam Bozhilova Forest Research Institute, BAS. 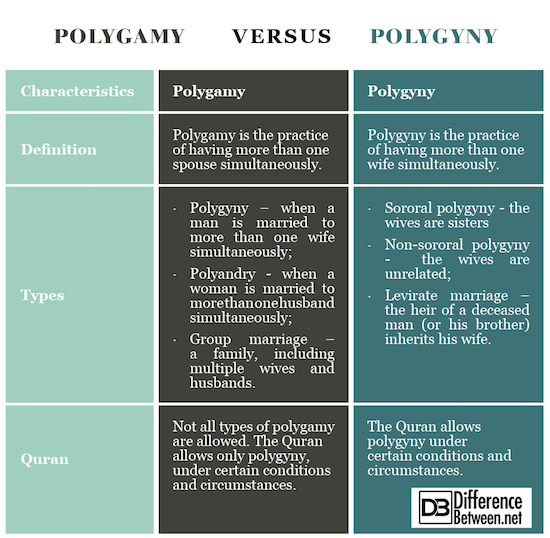 "Difference Between Polygamy and Polygyny." DifferenceBetween.net. May 22, 2018 < http://www.differencebetween.net/miscellaneous/culture-miscellaneous/difference-between-polygamy-and-polygyny/ >. Ezeh, A. Polygyny and Reproductive Behavior in Sub-Saharan Africa: A Contextual Analysis. Demography. 34: 355-368. 1997. Print. Thobejane, T., T. Flora. An Exploration of Polygamous Marriages: A Worldview. Mediterranean Journal of Social Sciences. 27: 1058-1066. Print. Young, D., S. Young, K. Young. Polygamy. Polygyny, Polyandry and Polyamory. Blountsville: Fifth Estate. 2013. Print.